Are you a pop music fan looking for a band with a bigger message than your average radio offering? 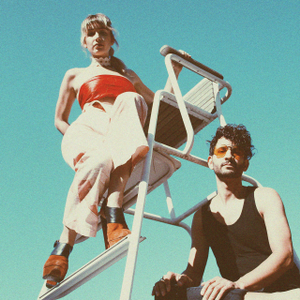 Meet Smoke Season, a Los-Angeles based indie-pop duo that offers more than just catchy melodies. Gabrielle Wortman and Jason Rosen are musicians who use their work to advocate for important social issues. In 2016, they released an ambitious trilogy of music videos that shared characters and story lines. Each video tackled difficult subject matters including LGBTQ bullying and suicide, Post Traumatic Stress Disorder, and immigration reform. The duo’s passion for political activism expands past their art: they also flew to Standing Rock North Dakota to support DAPL protests. For Smoke Season, standing for social change is not just an occasional gesture; it’s an essential part of their music and identity as a band. As musicians, Wortman and Rosen draw from a wide variety of influences, and their body of work often eschews traditional genre lines. The duo’s work recalls such diverse influences as Fleetwood Mac, Grimes, Tame Impala, and Purity Ring. Smoke Season songs often feature percussive electronics with psychedelic flourishes, all the while anchored by Wortman’s soulful, dynamic vocal performance. Smoke Season will be performing at Kilby Court along with Armors and Patternist on Saturday, Sept. 9. The show starts at 7:00 pm, and tickets are $10.